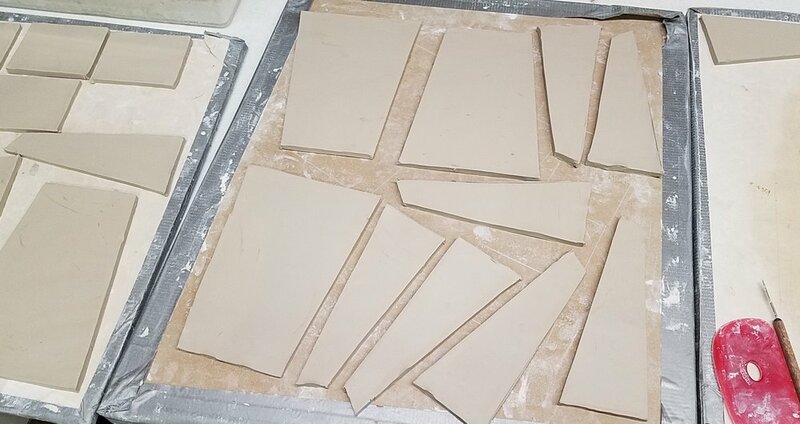 One thing I love about making things out of clay, besides ease of use and overall helpfulness, is the challenge of finding solutions for display. I'm always rethinking how to make objects that are helpful and highly functional, plus looking for good ways to display them- I like it when a story can simply be told through the juxtaposition of a few objects. A few weeks ago at the August Art Fair Jackson Hole I was across the isle from Sita Sabina. She saw a helpful potential in my "stuff holders." 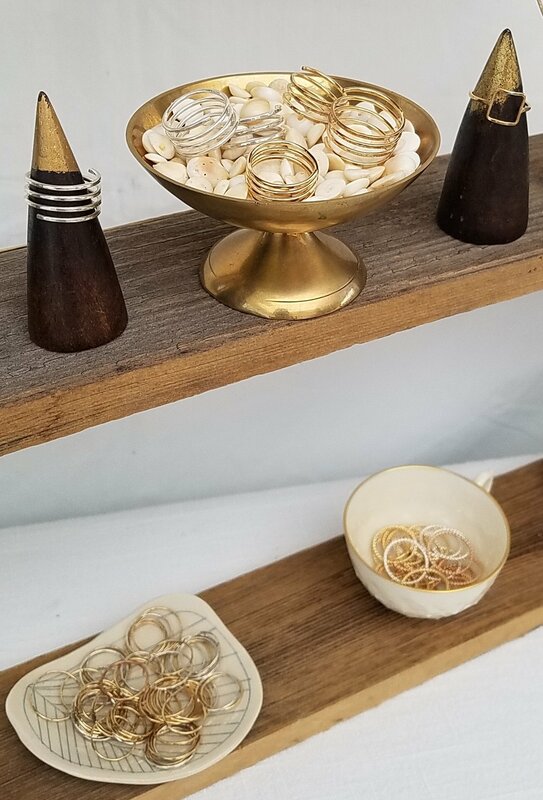 By using these little dishes to display her rings for people to choose from, she also created a beautiful and simple display that offers good ideas for storage (or home display) of precious objects. 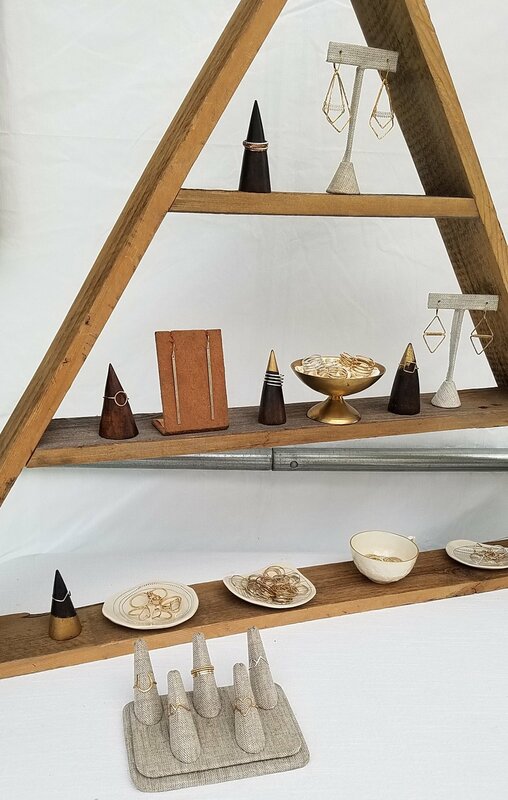 Recently metal artist, Jen McNaughton, asked me to make necklace display stands and I got pretty excited about this project. 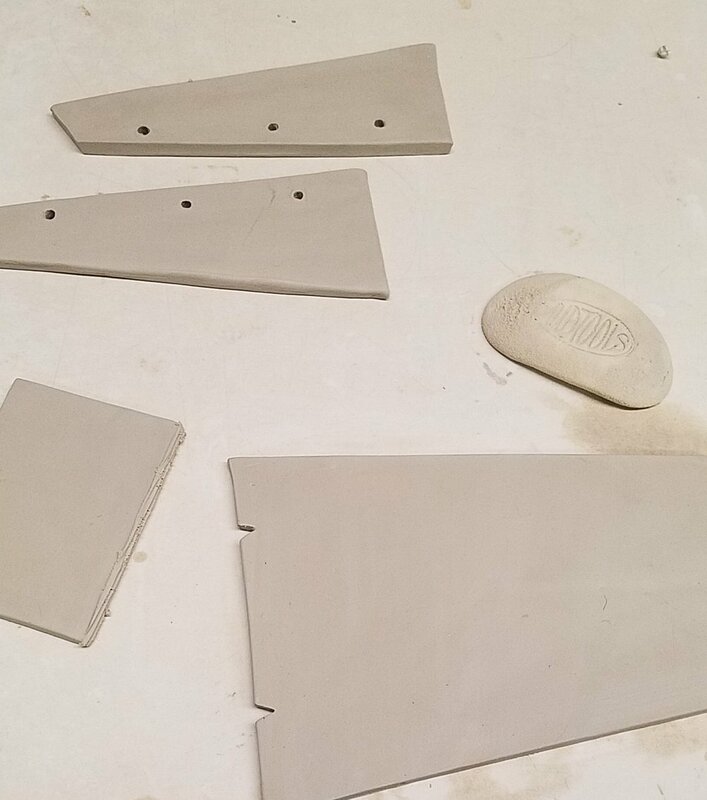 I'd never thought of making ceramic display stands! 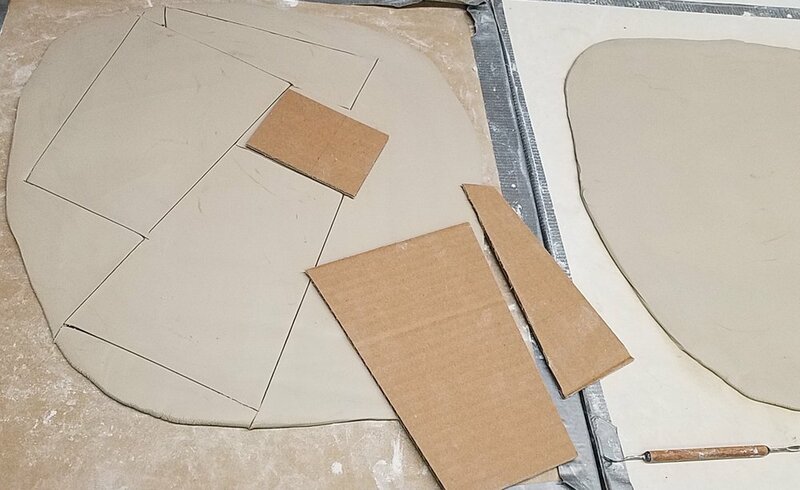 I started out by making a cardboard pattern. This template helped me think through the angle which it would sit at as well as size. 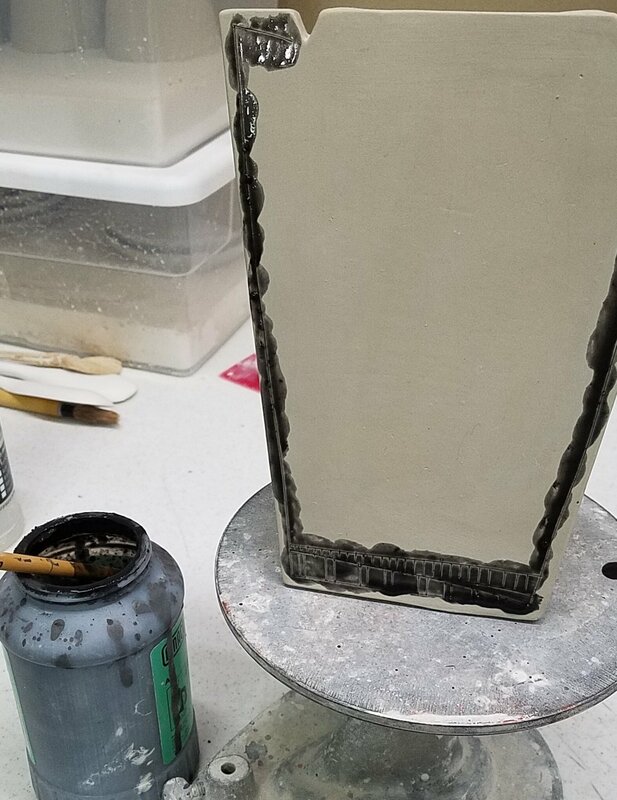 It also gave me a good visual before cutting into the clay- the necklace needs to stay put on the top and hook somehow into the back, so I came up with a few ideas before getting too far into clay work. After lots of smoothing and assembling I added a little decoration- like a frame around Jen's pendants. 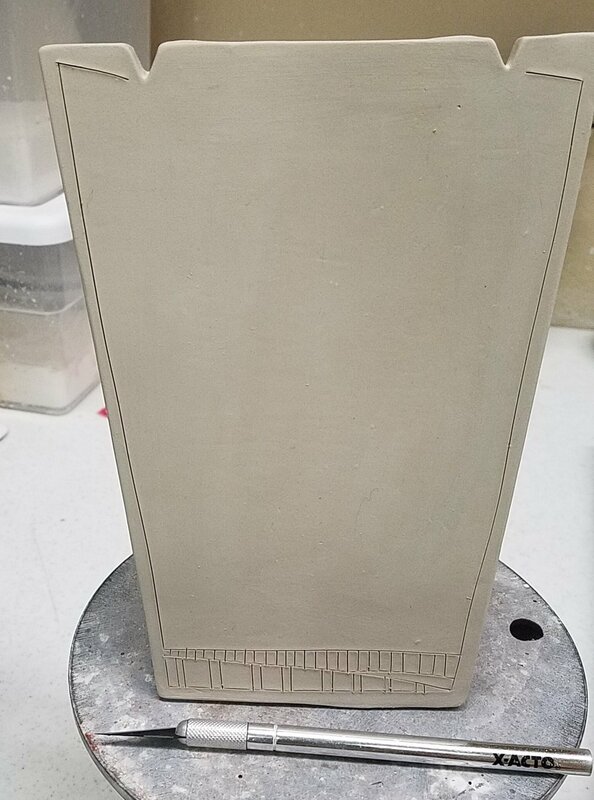 This needed to be simple and not distracting, underglaze inlay seemed to be a good fit. 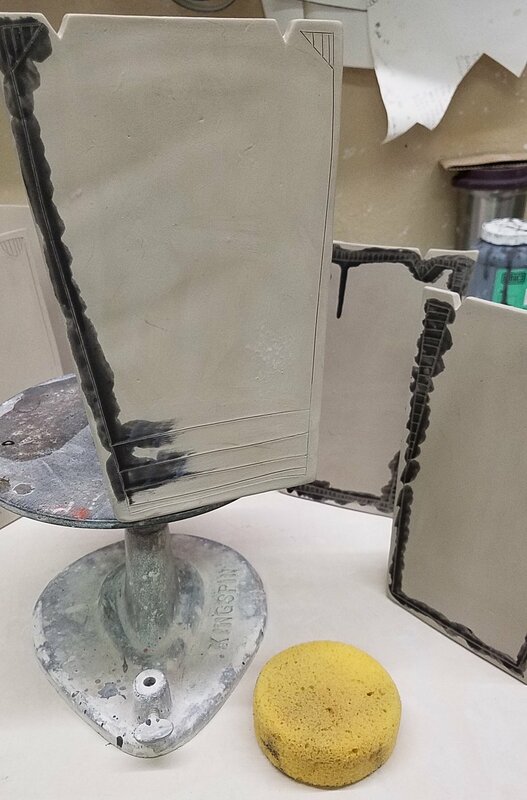 I drew a design into the clay with an xacto, coated it with underglaze, then wiped the excess away. And the results! The notches at the top hold the necklace in place, while holes in the back supports give options for chain length, plus a little anti-theft. Come to the Takin it to the Streets fair on September 9th on the Jackson Town Square to see these in person. 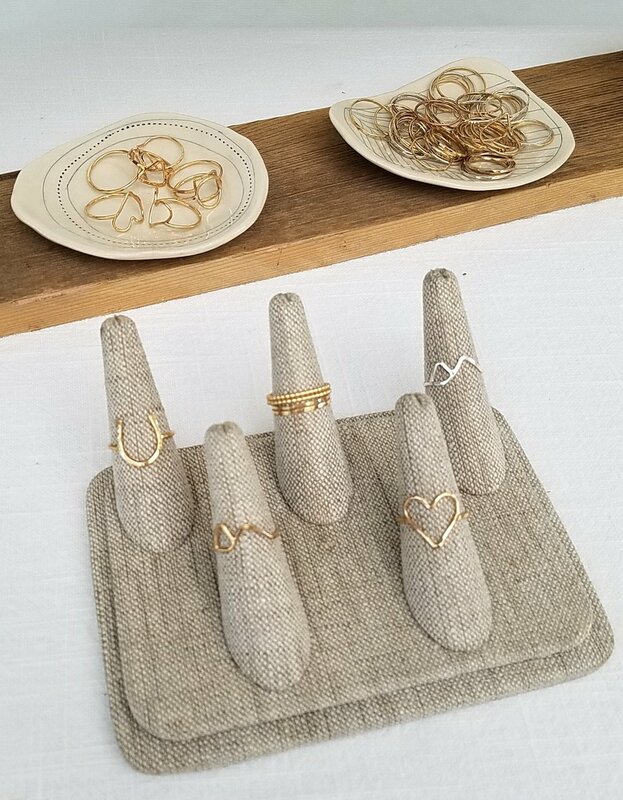 Well, come to see Jen's jewelry, really- you won't even notice the stands! 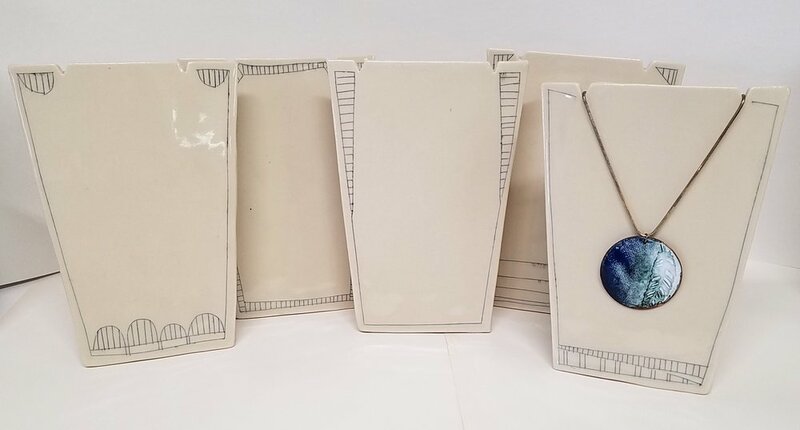 And I'll be a few booth away with my pottery still thinking about new ways to display things.